As these individuals land new opportunities they can feel overwhelmed with the task of a new job, learning a new culture and building new relationships. Of course, environment dictates the order that things are done and much of this can be done simultaneously, but I have found there are a few things that HR practitioners can do in the first 90 days to six months that can set them up for success both personally and professionally. While digging in and doing work that needs to be done is important, building relationships right away with key stakeholders is crucial. This isn’t about becoming friends or making nice, it is about learning the business and the personalities within. 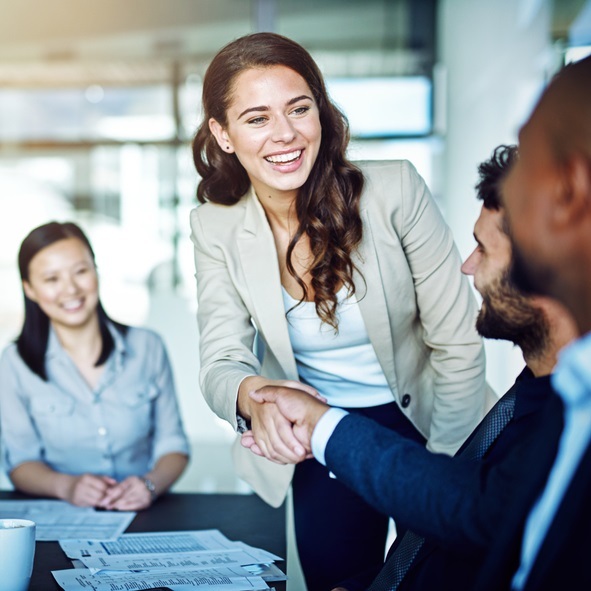 For HR practitioners moving to a new startup or small business environment, building relationships while learning the business can immediately ingrain them into the leadership team. I have a list of questions I ask every leader in a business when I come in as a consultant. The questions are different based on the department, but they are all focused on getting to know the leader and the business better. Here is an example list of questions I might ask a CEO. Why is this company in business? What is the origin story? What need was it trying to fix when it first opened? What stage of a business life cycle are we in? Startup, growth, mature. What is our current growth strategy? What are the plans for growth in the next five/ten years? Any Series funding goals or milestones? What could hinder us from meeting those goals? What are you most proud of about the team you’ve built? What frustrates you most about the team you’ve built? While I may add more questions based on the leader, this gives a general idea of how I mix business-focused questions with leadership style questions. This will start to give you a good idea of who the leader is, how the business is set up and your role in that. While human nature and the job at hand may lead us to put our head down and get to work, focusing on interaction and building relationships should come first. Regardless of what you are walking into and how well you think HR has been managed to this point, conducting a full audit in the first few months is a must do in my book. We released what has now become our annual update of an HR audit in January. Whenever we walk into a new outsourcing opportunity, we audit their HR processes. When startups ask for a project plan to build their HR infrastructure, we use our audit tool to guide us while building a strategy. It is a vital part of ensuring that not only compliance standards are met, but that workplaces are healthy and thriving. Further, I’ve been in HR long enough to know that even the most seasoned amongst us can miss something or assume that something is up to standard when it isn’t. Especially those of us who live and work in California. I’m not kidding when I say I learn about a new law every day that I didn’t know about. Audits are the only way I can keep up with it all. From day one you demonstrate to people how they can treat you by what you will accept. If you accept your CEO leaving you out of crucial conversations that should involved HR, they will continue to do so. If you accept rogue leaders making decisions that put the company in legal risk, they will continue to do so. If you accept employees never finding anything on their own and asking you for every form and phone number, they will continue to do so. I’m not suggesting you go in with guns blazing proclaiming a new sheriff in town, but I am suggesting that you mind how you allow people to view your role as HR from the beginning. I go back to one of the most commonly shared topics by HR Departments of One – not being taken as a serious business partner. It is hard to turn that ship around once it is settled on a course. Act as a business partner from day one and you are likely to be taken more seriously as one in the long run. While there are many directions a new job can take I believe these are three areas that should be focused on in the initial months. It’s an opportunity to start fresh and set things off on the right foot. It’s an opportunity for both personal and professional growth. It can be scary and overwhelming, but exciting and invigorating at the same time. What would you add to my list of things you should do in the first few months of a new HR role? I’d love to hear from you. Originally published on Acacia Solutions blog.